Tom Delavan, the talented designer and Creative Director of Gilt Home, opened up his beautiful Greenwich Village townhouse recently to showcase some soon-to-be -featured Gilt products. 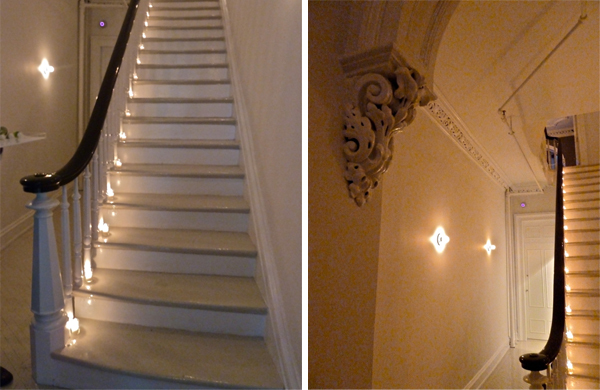 I wish I had better photos of his dramatic entrance painted in high gloss white enamel – it is stunning! With enticing food and beverages from Gilt Taste, two rooms were cleverly transformed to reflect the Gilt Home sales this coming week. 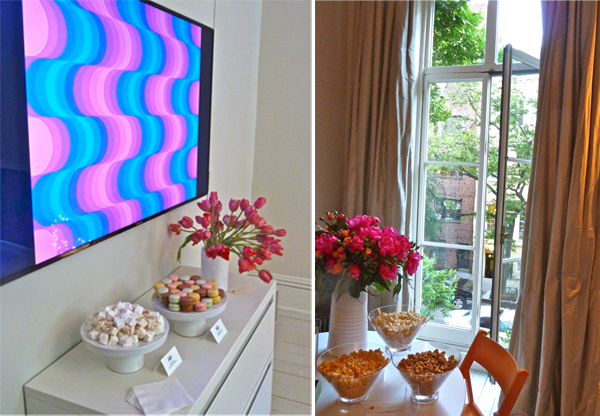 The front room, overlooking a charming West Village street, featured bright pops of color that will be part of the Summery Brights sale. The handsome back room was perfectly prepped for the Man Cave Essentials Sale. 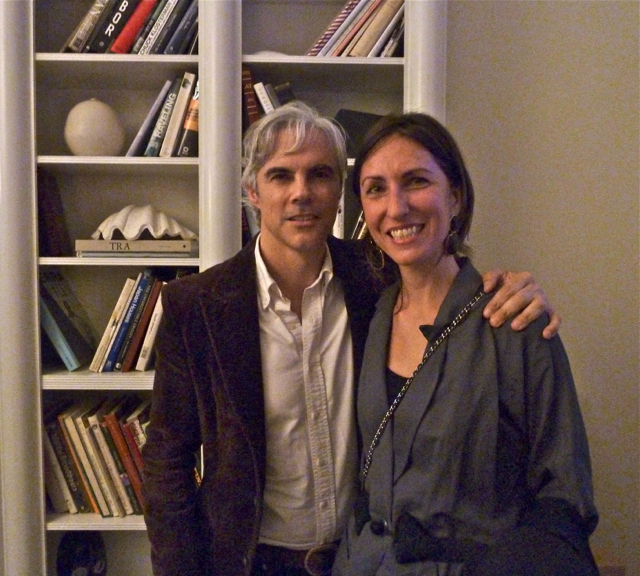 I think Tom was really using it all as an excuse for a lovely evening to mingle with friends and acquaintances “at home” – below, Tom with Julia Noran of Editor at Large. 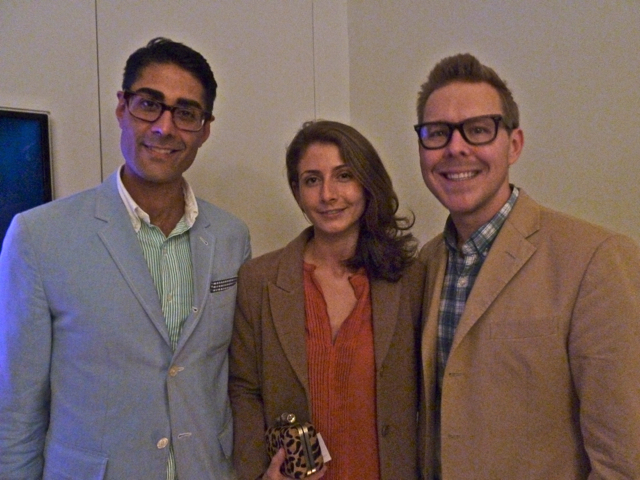 Eddie Ross and Jaithan Kochar with Courtney Grace Peterson, Assistant Market Editor of Architectural Digest. And designer Nick Olsen, Elle Decor Web Editor Amy Preiser (who might just have won the evening’s prize for marshmallow consumption – delicious artisanal ones from 240Sweet), Carole Nicksin, Style Director of All You and Nicole Sforza, Senior Home Editor at Real Simple. 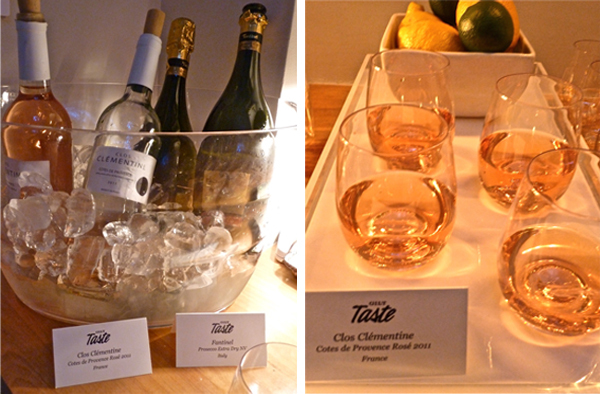 It was indeed the perfect venue to showcase the stylish new products. Do stop by and see them all for yourself this week starting tomorrow with the Summery Brights sale on Gilt Home. This entry posted in design, entertainment, food and drink, furniture, gifts, interior design. 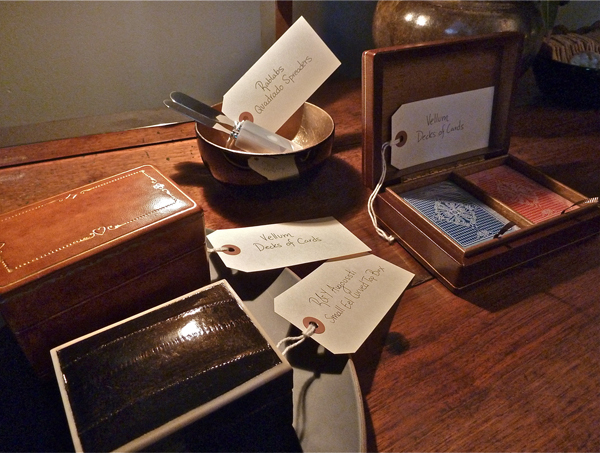 Entry Tags: Gifts, Gilt Home, Gilt Taste, Styling a Man Cave, Summer Brights, Summer Gifts, Tom Delavan Bookmark the permalink. Sale, friends, any time is a good time for a party in my opinion but showcasing some of those items makes it even better! Enjoy the rest of your weekend Stacey! What a lovely evening, Stacey. I love anything out of horn. Those masculine items are just exquisite. I agree that front glass door just inspired me. How are the top of stairs treated? Is that painted high gloss too? How fun! Love the BB etagere and that mini prep Cuisinart has my name all over it! Reading Alexis’ and Alexandra’s book right now and so enjoy it. 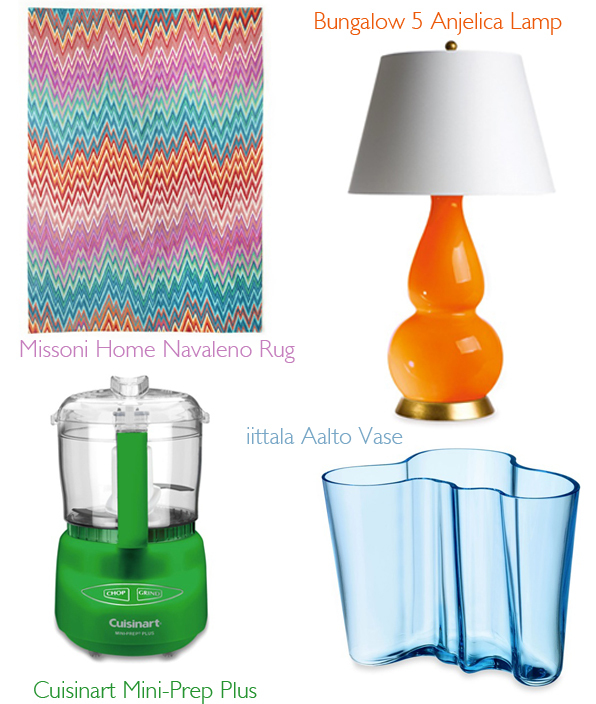 What a great collection of items – I especially love the colors of the Missoni and the Cuisinart! I love the stairs! The way they are illuminated is beautiful! 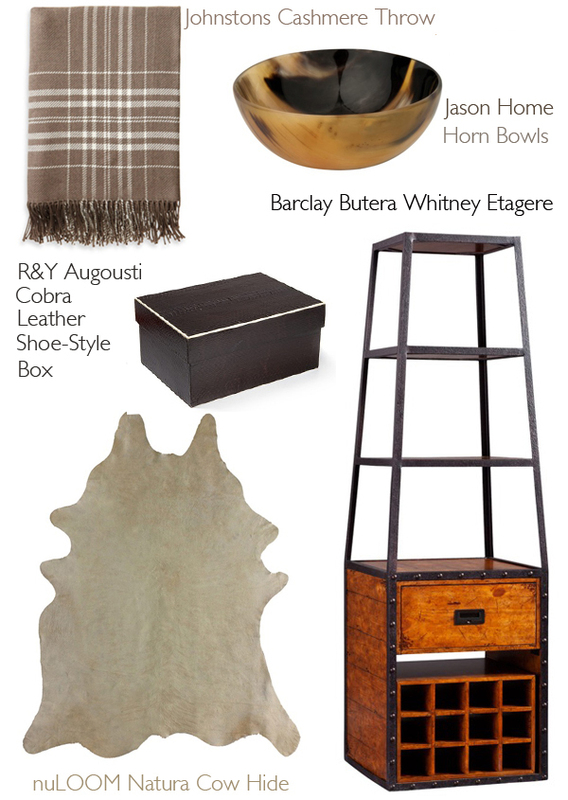 All in all a great selection of items; from the cowhide to the Bungalow 5 lamp. So much to love here!! That entry has me swooning and love the round up you showed for Father’s Day. I know they’re meant for the fellas, but love them for the home in general. Also loved seeing some favorite familiar faces! 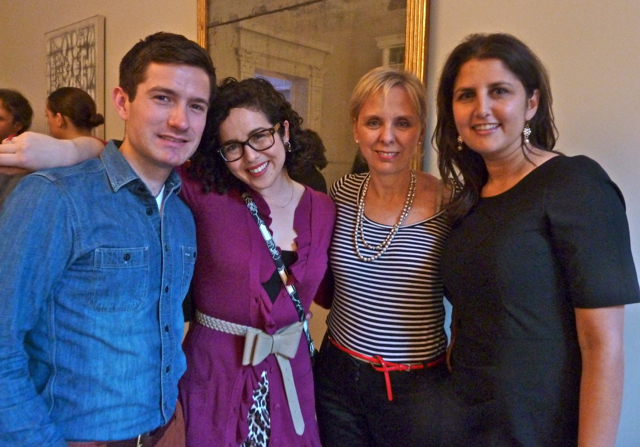 Loved seeing YOU at Blogfest and look forward to getting together again soon, when we can really catch up! This looks like fun (and I’m going to put 240Sweet on my list of places to visit)! How much fun was that? Daughter #3 will be interning at Gilt Groupe this summer and is very excited! You might run into her with Liza. Loved seeing the townhouse. Have a great weekend. 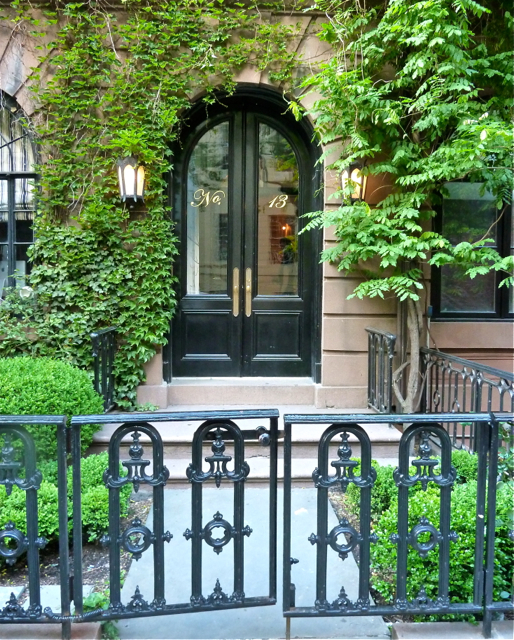 Love the door and the dramatic entrance! 78 queries in 0.526 seconds.